Covered bridge over dam, looking north. School house bell tower on left. To S. Oswego. This shows first wooden dam. Return to Library files. OA#186. Description Scanned as b & w. Pinholes, tape residue. Now called McVey St. Bridge. Same as 845a, b, d, & 1645 but cropped differently. 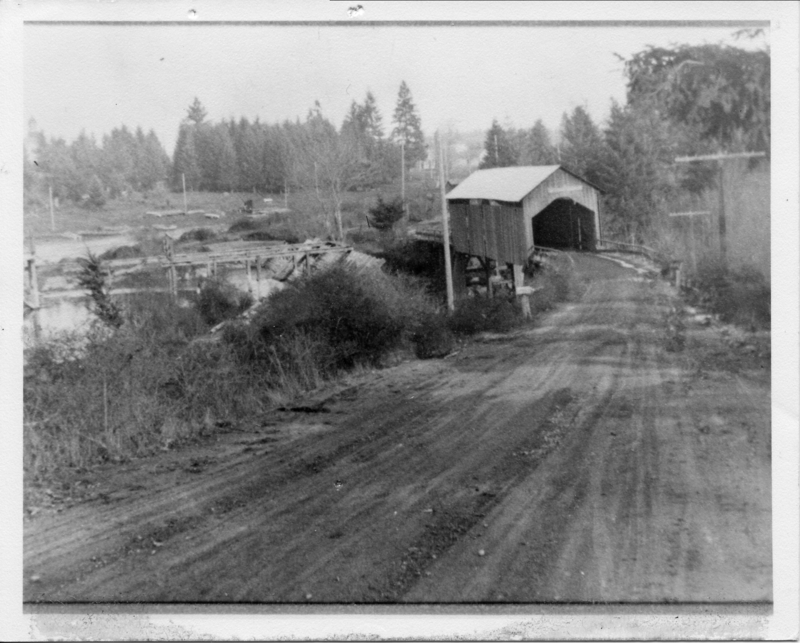 Transcription Covered bridge over dam, looking north. School house bell tower on left. To S. Oswego. This shows first wooden dam. Return to Library files. OA#186.